The solar energy company Daystar Power has opened its second branch in West Africa with an office in the Ghanaian capital of Accra. Daystar Power Ghana will be led by Olaedo Osoka, who has held a leading position for the African Venture Builder Sunray Ventures at various locations since Daystar Power was founded in 2017. The fundamental factor for the expansion of the energy business in Ghana is the great potential that Daystar Power attributes to solar energy in Ghana. Although electricity supply from the grid is relatively stable compared to neighbouring countries, it is prohibitively expensive and has become less reliable, increasingly forcing consumers to turn to environmentally harmful diesel generators. A reliable and cost-effective power supply is essential to increase productivity and reduce production costs and represents an important basis for further economic development in Ghana. Daystar Power's expansion into Ghana follows its exceptional performance in Nigeria, with the group raising USD 10 million in equity financing from Verod Capital Management and Persistent Energy. “Our business model has allowed us to save clients up to 20% of energy costs, enabling them to channel their resources into generating additional revenue, returns and improve their environmental footprint. Our mission is also to employ, empower and train young local talent, particularly Ghanaian women. You will note that there are few women in Science, Technology, Engineering, and Mathematics (STEM) in Europe, and the ratio is much worse here; part of our mission is promoting diversity and encouraging women to participate and lead in building Ghana’s energy future." 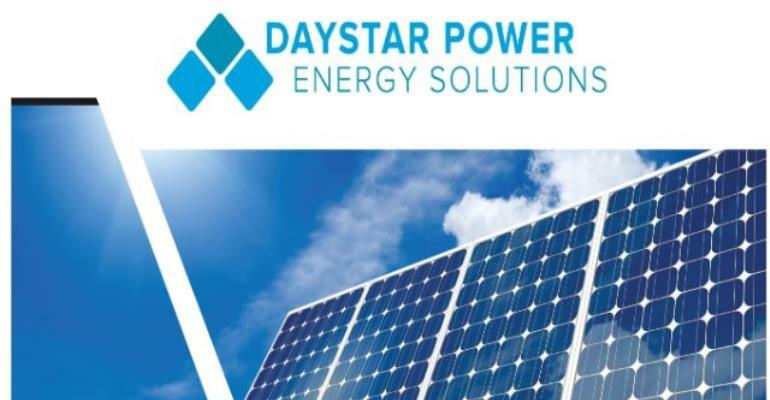 Daystar Power is a pan-African electricity company specializing in the generation of solar energy, with a focus on medium and small-scale solar systems (20kWp to 5 MWp). The plants are either sold or made available to customers in a service fee model. The user benefits from cost savings against payment of a monthly fee, from ensuring stable power supply, emission-free energy production, and the efficient energy management. Unlike many other international solar companies, Daystar Power has established local technical units that provide a high level of service. Sunray Ventures is an African Venture Builder with locations in Lagos, Frankfurt and Dubai. Sunray Ventures is focusing on building and scaling high-growth companies which generate profit, whilst creating environmental and socio-economic impact in their respective industries. Sunray Ventures and their owners Christian Wessels and Jasper Graf von Hardenberg have founded Daystar Power in 2017.